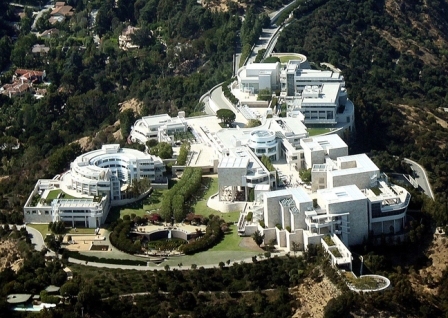 The Getty Center and one of its former guards have settled the plaintiff's lawsuit, in which he alleged he was fired because he is black but the museum maintained he lost his job for bringing brownies with marijuana to work. Kiley Bland's suit was resolved Tuesday during a mandatory settlement conference in Los Angeles Superior Court. No terms were divulged. Bland's attorney, Peter Cwiklo, alleged there were several examples pointing to racism in the firing decision, including comparing his client's case with the manner in which white guards were disciplined and in the way the museum enforced its rules. Lawyers for the J. Paul Getty Trust countered in their court papers that there was no evidence race played a role in Bland's treatment and that the guard's decision to bring a marijuana product to the museum and give it to a co- worker who later got sick is what cost him his job. Bland was hired in November 2010 and was routinely praised for his job performance, according to his lawsuit filed in December 2015. Following his son's May 2013 death at age 21 from a heart attack, Bland says he suffered anxiety and depression. Over-the-counter products did not help him sleep, and his sister-in-law, who worked in a medical marijuana dispensary, suggested he try marijuana brownies, according to his court papers. He says he ate the brownies at home and they improved his sleep without affecting his job performance. In early 2014, Bland and a fellow guard had multiple discussions about the benefits of marijuana brownies as a sleep aid after the co-worker said he had anxiety from financial problems and in getting along with his wife, according to Bland's court papers. On Feb. 8, 2014, the other guard agreed to switch shifts with Bland so the plaintiff could attend a personal event and the two went back to Bland's car, where he gave his colleague the brownies to show his gratitude, Bland's court papers state. Bland says he was off duty at the time and warned the other guard to take the brownies home and eat them there, but the man ate the brownies during his lunch break, became ill a few hours later and was taken by ambulance to a hospital. His colleague first admitted that he asked Bland to bring the marijuana brownies to work, but while at the hospital claimed Bland tricked him into consuming the pot-laced products, the plaintiff's court papers allege. He also claim's the other man's wife threatened to sue Getty if Bland was not fired, and he lost his job five days later.